Clinic Synopsis: The Jazz Trumpet: An Historical Perspective Since the beginnings of jazz, trumpet players have had a profound influence on the development of jazz and pop styles. This lecture/performance by Four Other Brothers will highlight the music of important trumpeters of the past and how they shaped the development of American music. The demonstration ensemble for this clinic will be the Four Other Brothers, an ensemble consisting of four jazz trumpet professors from four Illinois universities and a three-piece rhythm section (bass, piano, and drums). Their presentation will include historically interesting "period" pieces which feature the musical styles of significant jazz icons of the past. 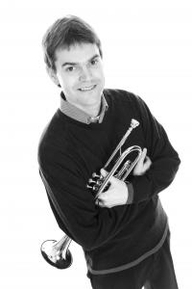 Clinician Biographical Information Randall Reyman, Professor of Music at Millikin University, is a trumpeter and composer/arranger who is very active in both the jazz and classical genres. 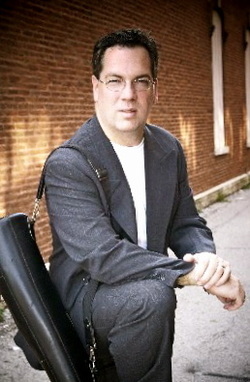 As a classical performer, he has performed with the Illinois Symphony Orchestra, Illinois Chamber Orchestra, Millikin/Decatur Symphony Orchestra, Peoria Symphony, Brass Ensemble of Illinois, North Texas State Faculty Brass Quintet, Millikin Brass Quintet, and Illinois State Faculty Brass Quintet. 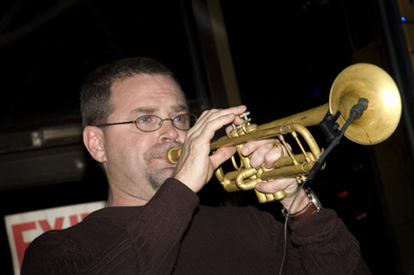 As a jazz/commercial trumpeter, Mr. Reyman has performed with a wide variety of performers including Bob Hope, George Burns, Richard Williams, The Platters, Tommy Dorsey Orchestra, Mills Brothers, Dave Brubeck, David Liebman, Rob Parton, Ringling Brothers Circus, Ice Capades, Decatur Big Band, Millikin Faculty Jazz Sextet, the Sonic Exploration Society, and his own West End Trio. As Director of Jazz Activities at Millikiin University in Decatur, Illinois, Mr. Reyman directs the acclaimed Millikin University Jazz Band I and serves as Professor of Trumpet. An active composer/arranger, Mr. Reyman has composed music of all genres including orchestral, choral, chamber, and jazz works. Second Clinician Biographical Information John Cooper currently teaches at Western Illinois University and is the Director of Jazz Studies. Cooper began his musical career in 1983 in Detroit, Michigan where he completed a Bachelor of Fine Arts degree at Wayne State University in Jazz Studies. While in Detroit, he performed with the Johnny Trudell Orchestra as well as jazz artists Jon Faddis and Carl Fontana and other national touring acts including The Temptations, Rich Little, Joan Rivers, The Four Tops, Lou Rawls, and many others. Dr. Cooper completed a Master's degree in Music Composition from Bowling Green State University in Bowling Green, Ohio, and Doctor of Philosophy degree in Music Composition at New York University. Cooper has performed as principal trumpet of the Marquette Symphony Orchestra, and is very active as a jazz artist, performing with his quartet throughout the Illinois as well as with Detroit area jazz artists. His first solo release, Watching for Watchung Plaza, has received critical acclaim from Detroit Free Press. Cooper is an artist/clinician for Conn/Selmer. 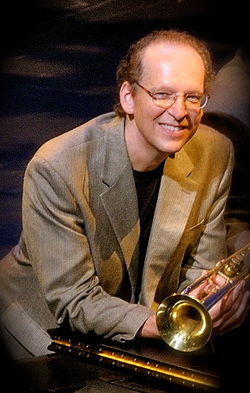 Third Clinician Biographical Information Todd Kelly is Professor of Trumpet and Director of Jazz Ensembles at Bradley. Dr. Kelly teaches trumpet, directs the Bradley Jazz Ensembles and Jazz Combos, teaches Jazz Improvisation, and serves as the advisor for the Music Business program. He also maintains a busy performing schedule in the Central Illinois area as a member of the Todd Kelly Jazz Quintet and as a freelance jazz and classical musician. He is the musical director of the Central Illinois Jazz Orchestra, a big band comprised of seventeen of the finest musicians from the central Illinois area. Recently, he has been touring with Indian tabla artist Sandip Burman. Dr. Kelly has backed such performers as Wayne Newton, Jerry Lewis, Charo, the Fifth Dimension, and Lesley Gore. Dr. Kelly is an artist/clinician for Conn/Selmer in Elkhart, Indiana, and an active jazz educator and clinician throughout the United States. Fourth Clinician Biographical Information Andrew Cheetham serves as Assistant Professor of Trumpet at Eastern Illinois University. A native of Columbia, MO, he attended the University of Texas at Austin where he earned a Bachelor's Degree in Music Education, Master's Degree in Trumpet Performance, and a Performer's Certificate. Dr. Cheetham also holds a Doctorate in Performance and Literature from the Eastman School of Music. As a classical and jazz trumpeter, Dr. Cheetham has performed in and conducted various ensembles across the United States and in Europe. He held the principal trumpet position with the North Arkansas Symphony and has performed with Austin Symphony, Rochester Philharmonic and the Tulsa Symphony Brass. As a jazz musician, Dr. Cheetham has collaborated with musicians including Bobby Shew, Slide Hampton, Peter Erskine, Gregg Bissonette, and many others. Most recently, Andrew was a trumpeter and ensemble leader in the United States Army, where he was often a featured trumpet soloist, performed in countless ceremonies, concerts and conventions all over the country. Fifth Clinician Biographical Information Stacy-Williams Jackson received her Bachelor in Instrumental Music Education/Jazz Emphasis from Millikin University in 1997, where she studied bass with Glenn Dewey, John Fremgen, Peter Huffaker, and Catlin Rotaru. She has been a music teacher for Lincoln-Way Community High School District #210 since 1997, where her duties have included orchestra, jazz band, beginning and intermediate strings, music technology, guitar, and individualized music for special needs students. Mrs. Jackson was the director of Lincoln-Way Youth Strings from 1997-2007, where she started over 300 students on their musical paths. She completed her Masters in Educational Leadership from Northern Illinois University in 2001, and has been the music department chair at Lincoln-Way Central High School since 2002. Her greatest joy comes from working with her wonderful students and her ever-outstanding colleagues. She has delighted to be part of the development of Lincoln-Way's orchestral program. Mrs. Jackson has led the ensemble in many tours throughout the United States and the United Kingdom, including San Francisco, Toronto, Boston, London, Coventry, and New York City. 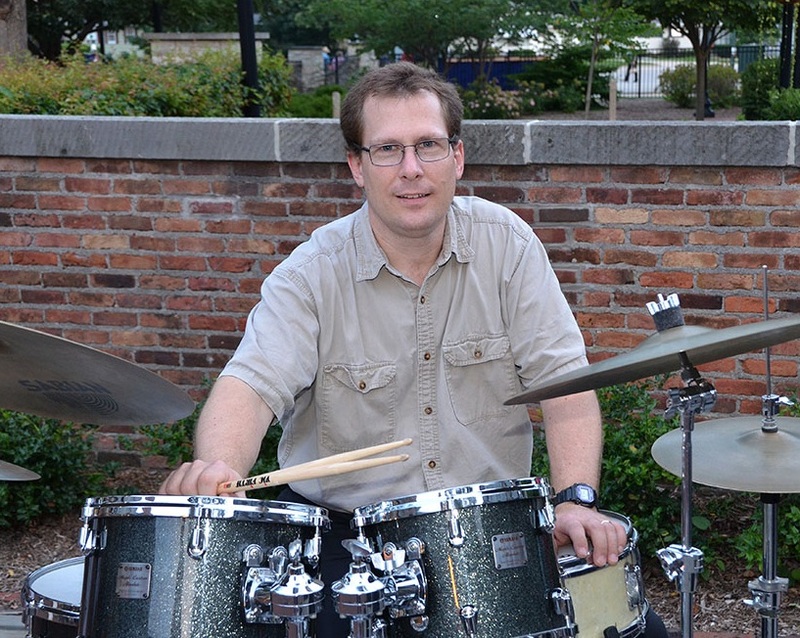 Sixth Clinician Biographical Information Terry Brennan received a Bachelor’s degree in Music Education from MacMurray College and completed graduate work at the University of Illinois, where he was a member of the University of Illinois Jazz Band. While at the University of Illinois, he performed with J.J. Johnson, Kim Richmond, and Cecil Bridgewater. Mr. Brennan enjoyed a successful 30-year career as a public school instrumental music teacher in Central Illinois. For 60 years, he has been a professional jazz pianist in a variety of bands including Black and White, Diversity, and the Dixie Daredevils, having performed in Japan, at the Vienne Jazz Festival in France, Montreux Jazz Festival, and various clubs in Chicago and St. Louis. He has performed with such luminaries as Clay Jenkins, Scott Whitfield, Fareed Haque, Jeff Campbell, Terrell Stafford, and Gene Beroncini. Seventh Clinician Biographical Information Thomas Marko is director of Instrumental Jazz Studies at Illinois State University. Mr. Marko earned an undergraduate degree in percussion performance from Washington State University and a Master of Music degree in Jazz performance from the University of South Florida. He has also holds the Doctor of Arts degree in Theory and Composition from the University of Northern Colorado. As a professional performer, Mr. Marko can be heard with numerous jazz groups throughout central Illinois. During his two years at the University of Northern Colorado, Tom held the drumset chair in UNC Jazz Lab Band I and Combo I. His Big Band playing is featured on "Alive XVII- For the Last Time!" (United Jazz Artists) and his combo playing helped earn UNC's Combo I a Downbeat award for outstanding collegiate jazz combo recording in 1999. In the summer of 2001, Tom was one of 23 young jazz musicians invited to attend the Jazz Aspen Snowmass Summer Sessions Directed by Christian McBride. Dr. Marko directs Jazz Ensembles I, II and III, coordinates the jazz combos, teaches jazz improvisation, jazz ped/lit, private drum set lessons and coordinates the annual ISU Jazz Festival.